Organic and Paraben free soap scented with rose and geranium. Tiger Power was created by ARTHOUSE Unlimited artist Sarah Harbott. 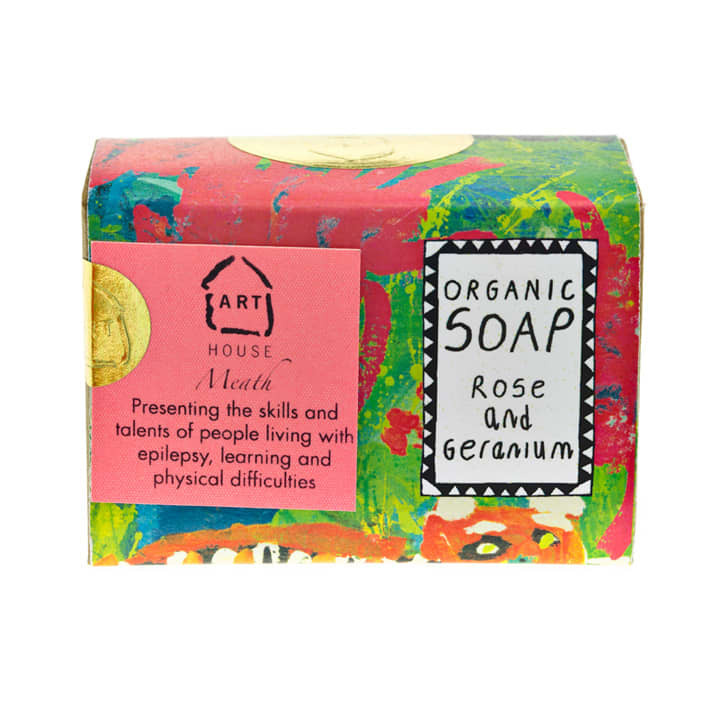 Made for ARTHOUSE Unlimited by a specialist UK soap maker who provides employment for people with visual impairment and disabilities.